Gahanna Parks and Recreation offers in-house school break and summer camp programs that are accredited by the American Camp Association and run by Gahanna Parks and Recreation Camp Staff. These programs are under the umbrella of the Camp Friendship Camping Company, allowing them to follow the same set of policies and procedures as well as the same set of health forms and registration requirements. The American Camp Association (ACA) is a community of camp professionals who have joined together, for over 100 years, to ensure the quality of camp programs. ACA provides education, resources and support for camp professionals and camp programs across the country and around the world. ACA also provides guidelines and standards for day and residential camps alike, to help ensure camps are providing safe, educational, and developmentally appropriate programs. These standards range from having adequate, working fire extinguishers and proper driver training to staff screening and camper to staff ratio requirements. In order to be an ACA accredited camp, a camp must provide written documentation that it upholds ACA policies and procedures, as well as pass an on-site visit where volunteer visitors see first-hand that ACA standards are being met. As ACA accredited camp programs, CFCC follows these guidelines, consistently upholds the standards and meets compliance as set forth by ACA. We had considered a different camp option this year and now I am really glad we stuck with Camp Friendship. This has been the best camp year yet. Thanks again for a great job! Camp friendship is a well-operated, organized and affordable camp program for Gahanna families. Camp Hannah – Traditional is a day camp program held at Hannah Park for campers age 5-12. At Camp Hannah – Traditional, campers enjoy traditional camp activities that focus on teamwork and character education while also participating in weekly sessions of arts and creativity, sports and games, and outdoor education. Each week campers also have a Pool Day, go on a field trip, participate in an all-camp activity and Community Involvement, a program where outside organizations come to camp and present information about their programs or lead activities for campers, teaching them how to get involved in their communities. Camp activities and field trips are based off of weekly themes that vary week to week and year to year. Adventurers enjoy traditional camp activities along with specialized programs and activities specific to a weekly theme. In the peaceful setting of Friendship Park, campers explore woods and creeks, participate in team building activities and enjoy visits from contractors and programmers to lead specialized sessions. Campers also participate in traditional camp activities like crafts, games and weekly visit to the Gahanna Swimming Pool, as well as a field trip and time just hanging out with friends. Amenities include trails, a playground, athletic fields, a community garden and plenty of opportunities to explore nature. Please note that campers will walk to the Gahanna Swimming Pool for pool day. Summer 1-Day Camps are day by day camp options that add days on to the beginning and/or end of the regular summer camp schedule, to allow for some extra summer care options to fill the gap between school ending/stating and regular summer camp weeks. These program options vary each year and are based around the Gahanna-Jefferson Public Schools calendar. Campers register for these programs by the day, participating in traditional camp activities and station rotations. What will children do at camp? Campers enjoy a variety of structured activities around a weekly theme including arts & creativity, sports & games, outdoor education, character education and more in a welcoming atmosphere. 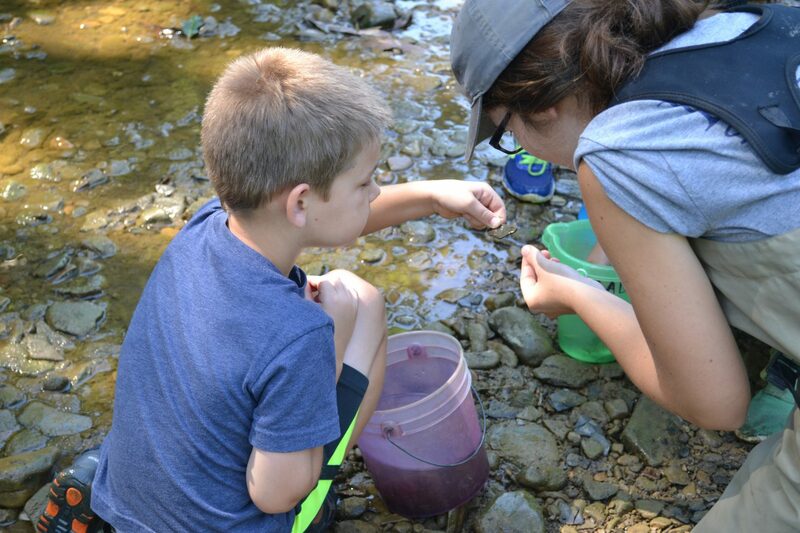 In the beautiful setting of Hannah Park or Friendship Park campers explore nature, participate in small group games and activities, enjoy visits from program partners such as local artists, scientists or entertainers, go on a field trip in the Columbus area and cool off at the Gahanna Swimming Pool. Free time after lunch and during extended care hours gives campers a chance to select their favorite activities from the playground, time with friends at the shelter, a game of gaga ball or basketball and more. What kind of staff do you hire for your camps? CFCC Staff are all 18 years old or older, have passed a background check and are CPR, First Aid and AED certified. CFCC Staff are interviewed every year by the Camp Director, along with work history and reference checks. What kind of training does your camp staff go through? All seasonal Parks and Recreation employees receive training on workplace violence and harassment, accident and emergency procedures, ethics and Ohio laws. CFCC Staff also go through several days of training specific to communication, leadership, recognizing and reporting child abuse, youth development and behavior management. Many camp staff are teachers or students interested in pursuing coursework in education, youth development, recreation or related fields. Do campers go on field trips? Each week-long summer day camp session typically holds one field trip. Campers at Hannah Park – Discovery attend field trips on Wednesday or Thursday, depending on their assigned group. Campers at Friendship Park – Adventure typically attend field trips on Fridays. Field Trips are scheduled to complement the week’s theme. Campers will receive one field trip t-shirt per summer that must be worn on their assigned field trip day. Additional shirts may be purchased on-site for $10 each. Please note that, depending on the activity, additional participation forms may be required. Specific details for field trips are sent out in each camp’s weekly newsletter. Do campers ever get to go to the pool? Yes! Both Camp Hannah – Discovery and Camp Friendship – Adventure have a Pool Day each week. On this Pool Day, campers head to the Gahanna Swimming Pool (148 Parkland Drive) around lunch time and will remain at the pool for the remainder of the day. Campers are subject to a swim test in order to assess swimming ability if they wish to access the back pool or the deep end of the front pool. Please note that camper pick up occurs AT the pool on Pool Days. What if my child can’t swim or is not a good swimmer? 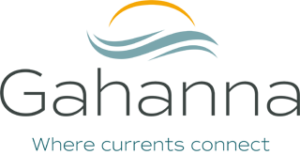 As per policy set forth by the City of Gahanna, all pool patrons age 12 and under must pass a swim test in order to go in the diving well areas or swim in the back pool. Camp participants must also pass this swim test in order to swim in the back pool, but due to our low camper to staff ratios and camp staff station assignments on Pool Day, CFCC campers have the option to take an intermediate swim test as well, allowing them access to the dive wells and the back pool slide. For campers who cannot swim or who do not pass a swim test, they receive a red camp wristband and stay in the shallow end of the pool. There is a black line on the bottom of the pool at which a counselor is always stationed, and campers with red wristbands are not to pass this line. Other various specific boundaries are given to other campers, based on the swim test they have passed and the coordinating colored wristband they receive. Also at Pool Day, CFCC Staff are stationed at restrooms, both the front and back pool, and various other locations, keeping an eye on campers throughout the day, in addition to those staff who are in the pool interacting with campers. How do you transport campers for field trips and pool days? Campers are transported for field trips via school bus through Gahanna-Jefferson Public Schools transportation services. Camp Hannah – Discovery campers also transported via school bus to their Pool Day. Camp Friendship – Adventure walks over to the Gahanna Swimming Pool for their Pool Day. Yes! Our programs are designed to help meet the needs of busy families and working parents. The structured camp activities and field trips are scheduled from 9am-3pm each day. Extended care hours are provided from 7-9am and 3-6pm each day. There is no additional cost for extended care. Fees will apply in the event that a camper is picked up after 6pm. Do you provide lunches or snacks? Campers eat a snack at the start and end of the camp day. A morning snack, along with a non-refrigerated packed lunch are to be provided by parents/guardians each day. Camp will provide the afternoon snack. Please be sure to note any specific dietary restrictions on the health information form. We will do our best to accommodate any noted restrictions; parents are welcome to send a replacement/supplemental snack, if preferred. While we are not a nut-free program, we do provide a nut-free eating space for children with documented sensitivities/allergies. Please contact the Camp Supervisor with specific questions. What do campers need to bring to camp? Each day campers should bring a packed lunch, a refillable water bottle and wear closed-toe shoes and clothes appropriate for active play. Depending on the day’s activities, an extra change of clothes, pool attire and towel or clothing layers may also be appropriate. Any specific requests for extra clothing or other items will be noted in the camp’s weekly newsletter. What is your camp’s sunscreen policy? It is the CFCC policy for campers to apply sunscreen multiple times throughout the day. Parents/guardians indicate on camper health forms whether CFCC Staff need to apply a camper’s sunscreen or if the camper is able to apply his/her own sunscreen. If a parent/guardian indicates a camper can apply his/her own sunscreen, CFCC Staff will monitor the child to ensure that sunscreen is appropriately applied. CFCC provides sunscreen (SPF 30) for all campers. If your camper has sensitive skin, would prefer a higher SPF or has a sunscreen preference, please provide your own sunscreen, labeled clearly with the camper’s name. Summer camp registration does not open until Camp Registration Day. Camp Registration Day is held the last Saturday in February each year, and it is on this day that in-person registration for all CFCC and specialty camp programs opens. Online registration for these programs then opens the following Monday at 8am. All participants in any CFCC program MUST have a completed health record on file in order to participate. We work with ePACT, a third party organization, to organize all camper health forms and get information to parents/guardians. Upon registration with Parks and Recreation, a camper’s name and email address are sent to ePACT for an account to be created. Once created, an email is then sent from ePACT to invite the camper parent/guardian to log on, create an account and complete camper health information. In order for the camper’s health forms to be connected and visible to Parks and Recreation staff, parents must hit submit/share at the end of the health profile. The health form process also requires parents/guardians to upload and attach a current immunization record and both a front and back copy of an insurance card, in order for health forms to be complete. These items can either be uploaded by the parent/guardian or emailed/faxed/delivered to Parks and Recreation. Please contact Parks and Recreation with questions or for exceptions to these requirements. Lastly, there are health form deadlines and late fees that are applicable to all programs and dependent on the season. Please see the applicable Parent Handbook for additional details and deadlines. In-person summer camp registration opens on Camp Registration Day, while phone and online registration opens the Monday immediately following. Registration for all CFCC programs close ten (10) calendar days PRIOR to the start of that camp week or day for which a camper is wanting to register. Camp cancellation, refund and credit policies will be specifically outlined in the applicable program Parent Handbook, as these policies differ from other Parks and Recreation programs. Gahanna Parks and Recreation partners with several organizations to provide specialty camp programs throughout the year. These specialty camp programs are run by the third party organization, but registration takes place through Parks and Recreation.